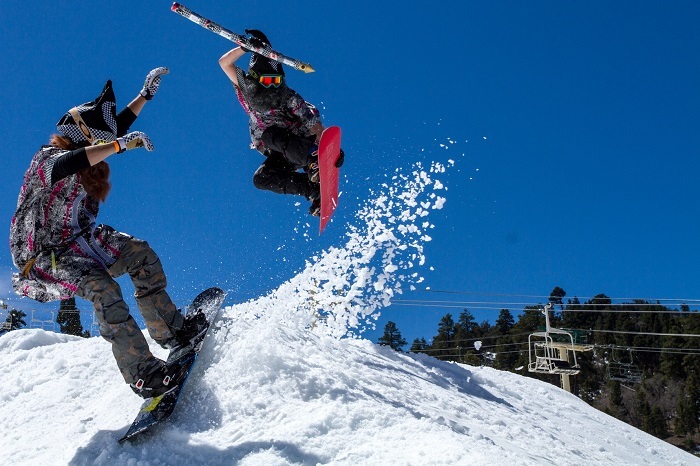 Bear Mountain is hosting a snow industry appreciation weekend at the end of March in conjunction with the NEFF Beach Bash and Malakye's Office Booyz that will offer industry desk jockeys 3 free days of riding and much more. "It's been a very challenging winter out here," stated Rio Tanbara, Director of Marketing at Bear Mountain. "We at Bear wanted to show our appreciation for all of the support we have received this season." 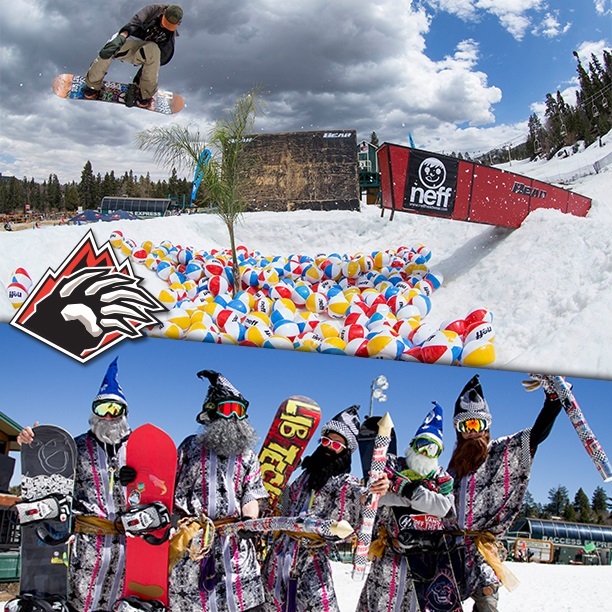 We interviewed Bear Mountain's Director of Marketing to get the scoop on what industry desk jockeys can expect from the weekend, including details on all the special events that will be happening and information on how attendees can get involved! All are welcome to come out and enjoy the fun! Check out the requirements below to see if you qualify for a FREE lift ticket and register today. Also, bring your guests! But, keep in mind that guests of snow industry people will need to purchase lift tickets. Who’s involved in putting on the Industry Weekend at Bear Mountain? The whole Bear Family and our sponsors: Neff, Red Bull, Malakye, Wahoo's, and Dank Doughnuts. Bear Mountain has supported Industry Weekends and Office Booyz events for a long, long time. What is the most memorable moment to date? The day you introduced us to the Office Booyz!!! What special events are happening that weekend? Friday March 28th is a free ride day, and then Saturday March 29th, we have the Neff Beach Bash, Malakye Office Booyz, and Red Bull Switch Board. Dank Doughnuts is providing Coffee & Doughnuts, and lunch is being provided by Wahoo's. On Sunday March 30th, it’s the Bear Reggae Fest! Will there be pond skimming? Yes!! There will be one for skimming and another pond for the Malibu wake boat featuring DJ Matty-MO. Are costumes encouraged or mandatory for desk jockeys to participate in any desk jockey activity? A lot of work goes into building special features on the mountain, and organizing a special event, and giving away loads of lift tickets. What makes it worthwhile to put out all of that effort? Seeing everyone shredding and partying at the Beach Bar! Are there any special hashtags people should use to see what everyone is up to throughout the weekend? How can attendees show their appreciation and thanks for your generosity? Follow us, like us, and spread the word: Bear is "The Peoples Park"! You are at least 18 years old and have a valid I.D.